Which SAT or GRE prep book should you buy? The one you’ll use. One recent study compared different methods of test prep to see how much of an average increase in score each method gave. The best method of test prep was individual tutoring, followed by taking a prep class. Pulling up the ignominious rear of the prep pack was … (drum roll, please) buying a test prep book. Buying a book earned a whopping average increase of ZERO points. My personal theory–which was not explored in the dry-as-a-dead-camel academic study–is that those who purchased a book probably spent more time deciding which book to buy than in actually studying it. So the moral is, buy a book you will actually use, then use it. Book-store-of-your-choice to the rescue! Go through several prep books and see which is most appealing to you. Do you enjoy reading phone books? Peterson’s is probably the book for you. Juvenile humor more your line? Try Up Your Score (SAT only). Parents, the Up Your Score book is thin enough and entertaining enough that your teenager might actually read it. Prayer is also helpful in this regard. My personal prep book picks? For the GRE I lean towards Princeton Review’s book. It’s easy to read and covers almost everything but not in so much detail that you’ll be overwhelmed. Save your money and skip the version with the marginally useful DVD. Princeton’s book will give you most of the tricks and a basic coverage of content. It’s light on samples and practice problems but there’s so much free stuff out there in web world that you won’t have much trouble supplementing. They also leave you in the same lurch as all the other books by telling you to learn a loooooong list of new vocabulary (quotidian, anyone?) without telling you how to go about doing that. 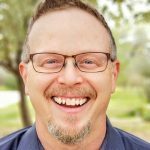 Check out this link for remedies to this shortcoming, as well as my various study methods (do a search on this blog for flash cards, stacks, memory, etc.). For the SAT I use a combination of the Barron’s book and College Board’s practice SAT book. The Barron’s book takes an everything-but-the-kitchen-sink approach. They could probably get rid of two thirds of the book, and none but the most assiduous scholars would miss it. But the sections are solidly arranged and cover all the major techniques. Careful on their practice/sample math problems. They seem quite a bit tougher than the actual SAT problems. Better too hard than too easy, I suppose, but many students may get discouraged if they don’t realize that. On the other hand, their vocabulary list is very thorough as is their coverage of the math. I use the College Board book for actual practice problems because they are the genuine article; actual SAT tests. You can pretty much chunk the first half of the book, however, since it’s a too-basic review of the SAT content and that’s what the Barron’s book is for. Those are the books I prefer, but to each his own. Again, since they all cover pretty much the same techniques, go with what feels best. Do beware, however, prep books are notorious for designing shoddy practice/sample questions that aren’t very close to the real test. Rely on the College Board’s online materials and aforementioned book for realistic SAT questions. For the GRE look to practice problems and tests on gre.org and released versions of the old paper-based GRE. If you had to choose only 1 SAT book to buy, which book would it be? One SAT book? College Board’s practice SAT book, as mentioned in the article above. Get that one and practice, practice, practice. Barron’s How To Prepare for the SAT is by far one of the best SAT books. It provides detailed instructions on how to save time and improve your score on the SAT. I used it and got 770 in Maths. It also provides explanations to each answer so you know where you went wrong. I recommend it for students aiming over 1800+ on the SAT as it goes in depth into SAT preparation. A positive attitude and dedication to learn from the book should get you the score you want from this book. McGraw-Hill is also a good option. Kaplan is more of a practice book and doesn’t quite prepare you for the SAT test pattern as Barron’s or McGraw-Hill. I agree that Princeton’s books are simply the best. Kudos for this comprehensive article. I am really inspired with your writing skills well with the structure in your blog. Is that this a paid subject matter or did you modify it your self? Either way stay up the excellent quality writing, it is uncommon to peer a great weblog like this one nowadays..
Hi. Just want to comment and express that I valued this post. I’ll be bookmarking your website and returning to find out if you post any new ones. Thanks! The best GRE book on the market is the new 2011 GRE Cliffs Notes book with CD-ROM! Good Luck! Our personal favorites in 2014 are Manhattan Prep’s Strategy Guides for the GRE and the Official Guide and Gruber’s for the SAT. 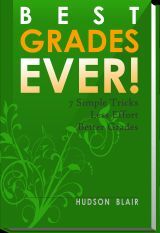 See http://www.test-study-guides.com/best-gre-books and http://www.test-study-guides.com/best-sat-books for a top 10 list.